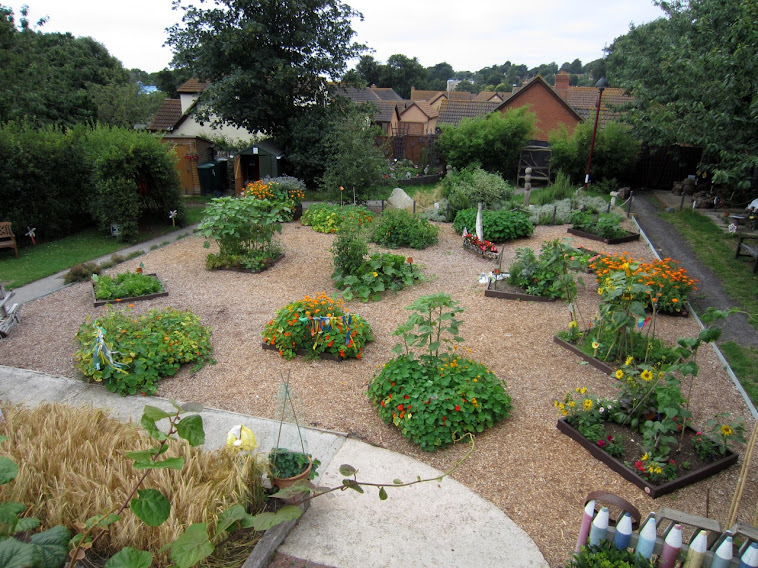 Holy Trinity Primary School Environmental Garden: Don't tell the pigeons! 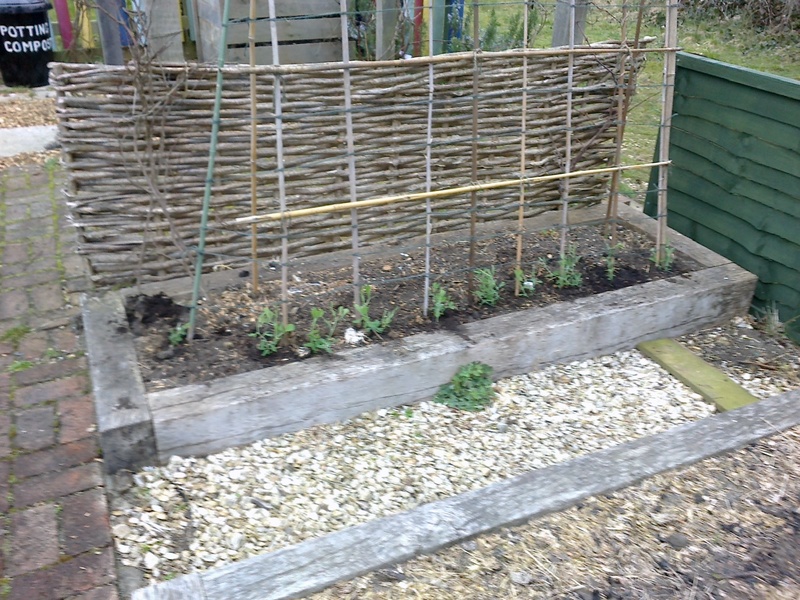 We have recently planted out the first of what we hope will be many sweet pea plants for the Spring and Summer. The seeds were planted before Christmas in the greenhouse to give us a head start with some early flowers. Pigeons are very partial to stripping the young leaves so hopefully the plants will get away and quickly grow before the pigeons have a chance to dine on them. Sparrows will also eat them but although Sparrows use the nearby feeders they are reluctant to leave the cover of the ivy covered fence. We have grown 'old fashioned' varieties which have the best scent and possibly the best flowers. In the pond things are moving rapidly. The frogspawn from a few weeks ago is already hatching and the very small tadpoles are emerging and taking their first meal from the jelly which surrounded them. At the end of this week the tadpoles from the frogspawn which we took and kept in a bucket for safety will be returned to the pond. On the garden side of things several changes. Three new raised beds have been constructed to make sure each class has a growing bed. At the entrance to the garden the compost bins have also been sorted out into a more regimental fashion to make it easier to put stuff in them and later shovel stuff out. Nearby the wooden bin is a holding bay for the more woody bits and pieces which may need to go through the shredder rather than be put directly ito the compost bins. Please note! The daffodils are possibly looking their best now. They are best enjoyed sat on or propped up against the old tree stump and watch as the heads dance about in the breeze. The pixies have gone quiet again. The vegetation is slowly hiding their domain in the woodland walk. They like it that way. Discreet but ever present. We hope that they will behave this year especially on the NGS Garden Open Days in July. Time will tell!